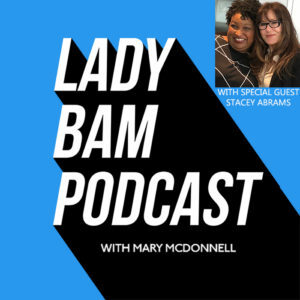 Lady Bam Podcast with Mary McDonnell – Episode 8 – Battlestar Galactica Reunion LIVE from Pensacon 2019! So Say We All! Lady Bam Podcast traveled to the Saenger Theatre in Pensacola, Florida to take part in an epic Battlestar Galactica reunion as part of Pensacon 2019, and we’re thrilled to be able to share the full panel with our listeners for the first time ever as a podcast! President Roslin and the Lady Bam herself, Mary McDonnell, led a special cast reunion panel with Michael Hogan (Saul Tigh), James Callis (Gaius Baltar), Michael Trucco (Sam Anders), Tricia Helfer (Six), Tahmoh Penikett (Helo) and Leah Cairns (Racetrack). Taking place on the eve of the 10 year anniversary of the end of the series, the panel reminded us just how special this show was, and what an extraordinary group of people it brought together to bring it to life. Discussing character arcs, reminiscing and debating the idea of a revival (spoiler alert: the cast is ready, and even has an idea! ), this is a BSG panel unlike anything you might have heard before. They say that all this has happened before – but it only happened this first time in Pensacola! Follow us at @LadyBamPodcast and tweet using #LadyBamPodcast! Author adminPosted on April 4, 2019 April 5, 2019 Tags battlestar galactica, bsg, lady bam podcast, laura roslin, mary mcdonnell, Podcast, tricia helferLeave a comment on Lady Bam Podcast with Mary McDonnell – Episode 8 – Battlestar Galactica Reunion LIVE from Pensacon 2019! 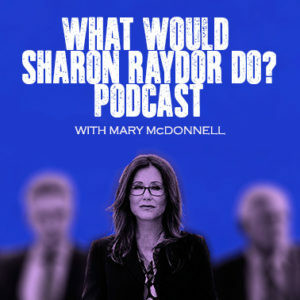 Join two-time Academy Award nominated actress Mary McDonnell as she interviews fellow actors, creatives and thought leaders. New Episode Premiering March 7, 2019! Follow Lady Bam Podcast on Twitter!